North Star Summit is the perfect spot for a family photo. 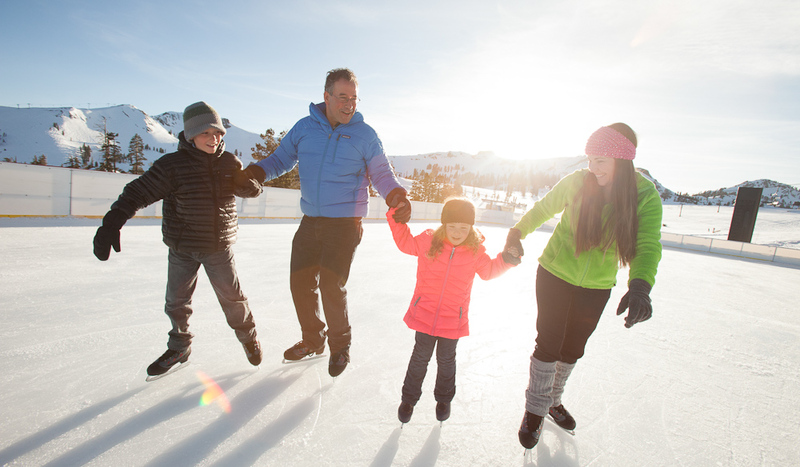 Squaw valley is the perfect place for a family get away. Ice skating is always a fun activity to do as a family. 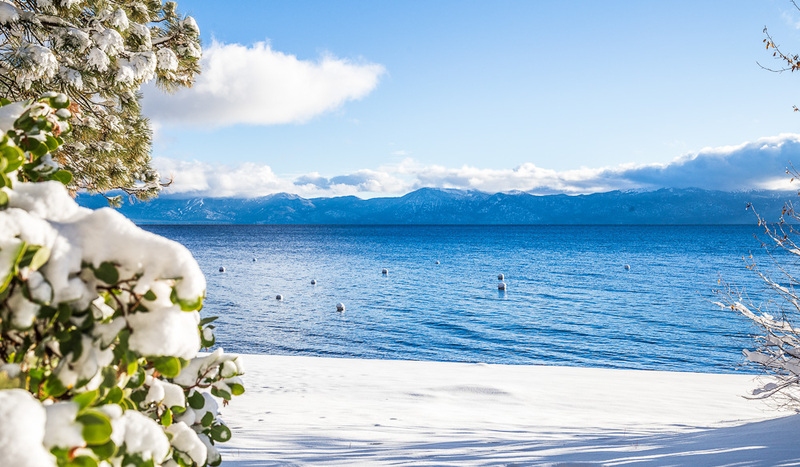 California’s North Lake Tahoe is the ultimate cold climate hot spot, offering up lots to love whether you are a ski bunny, powder hound or just heading to California for the après. 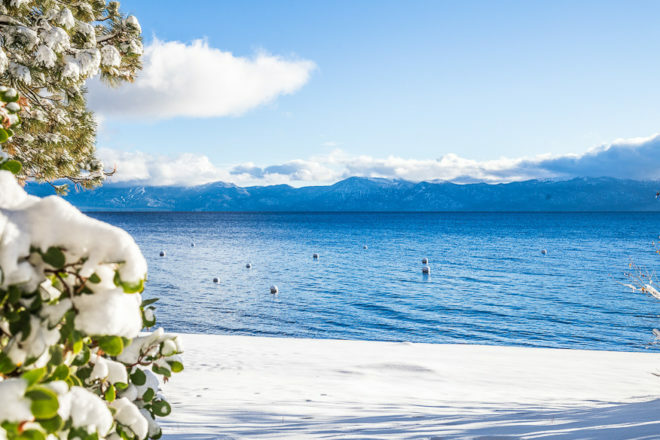 North Lake Tahoe is part of a region that boasts the largest concentration of ski resorts in North America and two of the most popular resorts are Squaw Valley, Alpine Meadows and Northstar California Resort. Combining lots of that California sunshine we all love so well with plentiful snowfalls throughout the season (a heaping nine to eleven metres to be precise), both resorts present like veritable winter wonderlands for everyone from absolute beginners to extreme freaks. Northstar has a total of 97 trails spread across 1,283 hectares, with 60 per cent of these rated as blue, making them perfect for intermediates. At either end of the scale there’s lots of room for beginners to get skilled up, as well as hairier black runs for advanced riders. Over at Squaw Valley, the venue for the 1960 Winter Olympic Games (for this reason it is also known as Olympic Valley), extreme skiers love the vertical drops and the relatively tree-less European-style runs at the top of the peaks, with lots of black and double black runs. But panic not if your skill level falls short of gnarly: a hefty 60 per cent of the territory here is dedicated to beginners and intermediates. 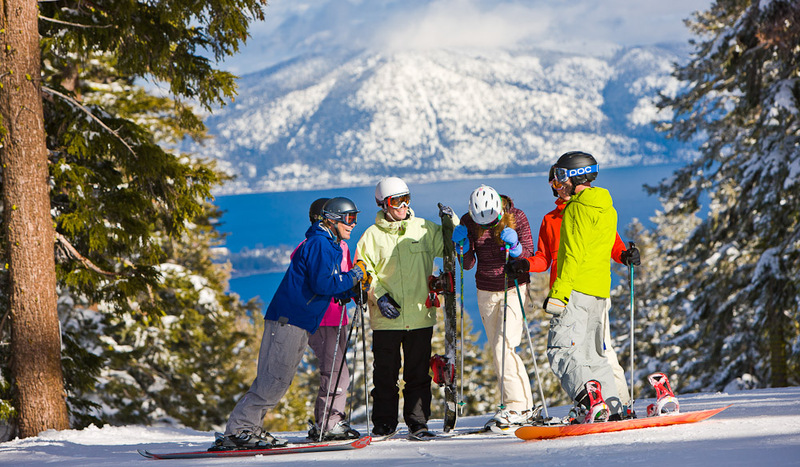 Interested in skiing two places in one day, well when you are done hitting the slopes at Squaw Valley, enjoy a free shuttle service over to Alpine Meadows for a full day of riding. Interested in skiing two places in one day? Well when you are done hitting the slopes at Squaw Valley, you can catch a free shuttle service over to Alpine Meadows to continue riding on the same lift ticket. 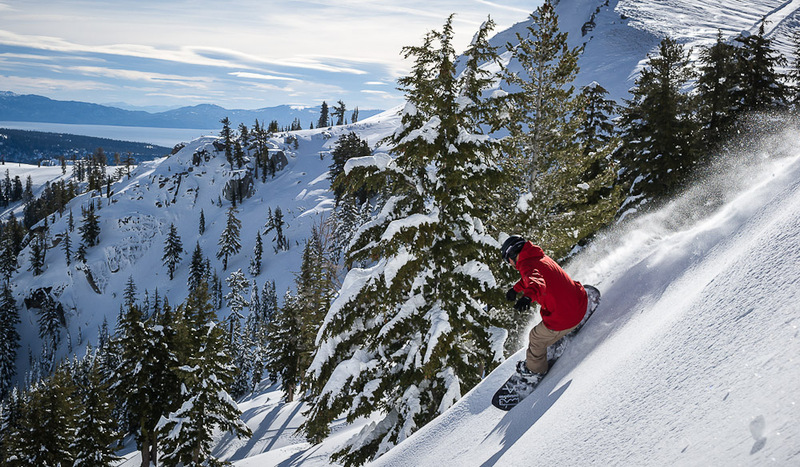 Getting rad on the slopes is only half the recipe for the ultimate North Lake Tahoe ski vacation. The après scene here is pumping with food and beverages in ample supply. 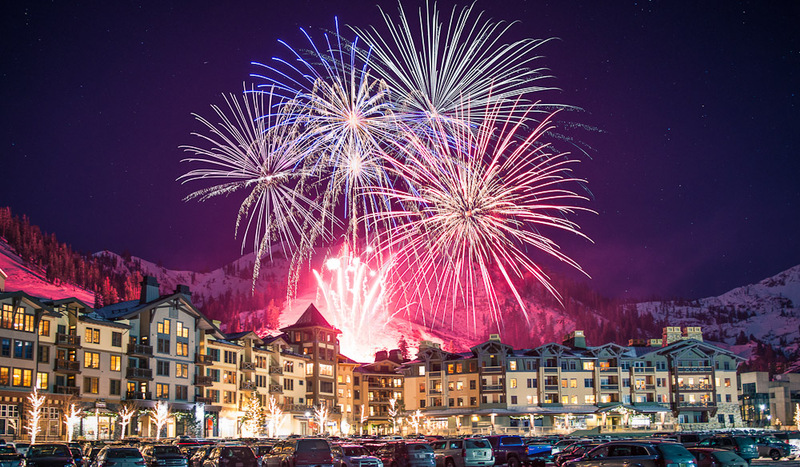 Head to Le Chamois (or The Chammy) in Squaw Valley, one of the most iconic ski bars on the continent where the action overflows out onto the snow in spring. After hitting the free champagne toast on the mountain, head to Mikuni Sushi in The Village at Northstar order the aptly named 911 Roll and Train Wreck Roll and wash them down with sake or Sapporo (or both if your day resulted in either of these rolls on the slopes). Local hang Cornice Cantina has cheap and cheerful Mexican and even cheaper hipster beer ($1 PBR anyone?). Fireside Pizza Company does gourmet pizzas in a family friendly environment (i.e no $1 PBR here), while Plumpjack in Squaw Valley is considered the best of the best dining around, don’t miss their happy hour! You can get too much of a good thing; if you want to take a break from skis and boards, even just for a little while, there’s still lots of on-snow stuff to do. There are well groomed tubing and sledding slopes at both Squaw Valley and Northstar that will have you hurtling along at face-freezing speeds if you that’s your thing, while SnoVentures at the base of Squaw Valley has mini snowmobile rides for kids and a gentler pace of snow tubing. You can get all alpine at The Resort at Squaw Creek, with dog-sledding and horse-drawn sleigh rides, and there’s also ample ice to entertain, with the Northstar Village ice skating rink and ice skating with a view at Squaw Valley: skaters can ride up the Aerial Tram to High Camp before launching themselves onto the ice. Finding just the right retreat to rest your weary bones in is top-of-list important on a ski vacation. Skimax Holidays can help you find the right accommodation for you, whether you’d like a rental with a suitably alpine name like Great Bear Lodge or you’re looking for a luxury ski-in/ski-out apartment, they’ve got you covered. 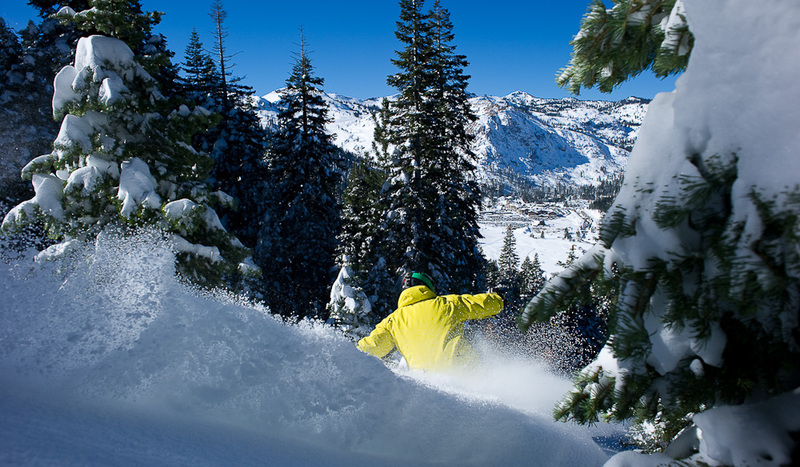 For the best deals to Squaw Valley and Northstar check out the Skimax website.